§A Gýi and Sveinn, they raised the stone in memory of Bersa/Birsa, their good father. §B Ernfastr cut the stone in memory of Bersa/Birsa, Végerðr's husbandman, the good son of Þorgerðr. 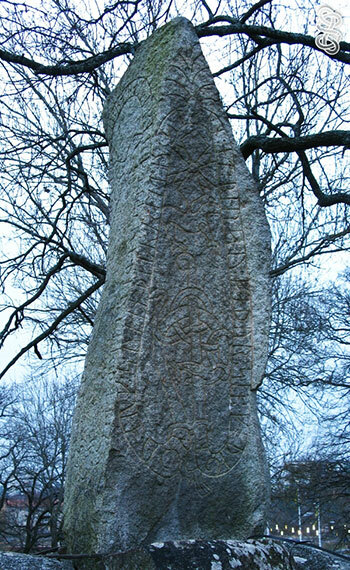 This rune stone is standing in the park of Hässelby castle. My friend Ogneslav sent me the photos.